Well, I said last week that the Twins might be better off playing the Yankees in the first round, instead of going up against the Red Sox, and it looks like that's exactly who they'll get. With three games left on their schedule, the Twins are sitting at 90-69, tied with both Anaheim and Oakland for the second-best record among American League division leaders. The Angels and A's finish the year with a three-game series against each other that starts tonight, which means one of them is going to end the season with at least 92 wins. Because the tiebreaker for homefield advantage is head-to-head record and the Twins lost their season series to both Oakland and Anaheim, they'd have to sweep the Indians at the Metrodome this weekend to get homefield in the first round. And, frankly, I just don't see that happening. But hey, I said I thought the Twins were better off playing the Yankees and that's what they're going to get. It wouldn't be bad news, except for the fact that New York just took three straight from the Twins at Yankee Stadium, including both games of a doubleheader on Wednesday and last night's game on a Bernie Williams ninth-inning homer. Obviously losing three straight to a team you're going to be facing in the playoffs in a week isn't a great thing, but it's worth noting that the Twins didn't exactly play postseason baseball during the series. Both Johan Santana and Brad Radke were pulled from their starts after five innings and they both actually had the lead when they left. In the other game the Twins lost, Kyle Lohse started and gave up five runs, but it's unlikely he'll see any first-round action in the playoffs anyway. Plus, even in losing all three games, the Twins did relatively well against all three of New York's starters, getting at least seven hits against each of Mike Mussina, Jon Lieber and Javier Vazquez, and scoring a total of 11 runs in 18.1 innings against them. 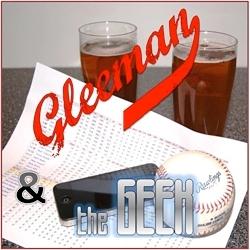 In the end, the Twins' playoff chances are going to come down to two very simple things. First and foremost is Santana and Radke continuing their brilliant seasons for one more month and shutting down opposing offenses. Along with that is Minnesota's lineup being able to scratch and claw their way to at least 3-4 runs per game. I saw nothing in the three losses to New York that convinced me they are any less capable of doing those two things than I thought they were this time last week. Santana pitched well, Radke pitched well, and the offense scored either three or four runs in each game. Of late, as Santana has been putting together one of the best seasons by a pitcher in recent memory, one of the things I keep hearing from people is that maybe the Twins were right in keeping him in the bullpen for so long. The thinking being, of course, that Santana has turned out so great, so whatever they did must have been the right decision. This is the type of thinking I don't believe in. If I'm playing poker and decide to go all-in for all my chips with a 7-2 offsuit (perhaps the worst starting hand in poker), and the flop comes 7-7-7, does that make my all-in play a smart one? If you answer yes to that, then I guess we'll just have to agree to disagree (and I'll have to look for you at the tables). For you guys who aren't into poker (what's wrong with you? ), I'll try a baseball analogy. Let's say the Cardinals had called Albert Pujols up at 21 years old and said, "He's young, so we'll make him a pinch-hitter and give him a start or two a week to work him in slowly." So for the next few years he gets 200 at-bats per season and does extremely well. Finally, the Cardinals make him an everyday player and Pujols hits .330 with 40 homers and 130 RBIs. Do you say, "Wow, it was smart that the Cardinals kept him in a limited role for so long, look how well he ended up doing" or do you say, "Wow, the Cardinals just wasted some great years from one of the best hitters in baseball"? In his column yesterday, Will Carroll suggested that the Twins were following the thinking of an old sabermetric favorite, Earl Weaver, who often stuck his young pitchers in the bullpen to see what they could do before he gave them a spot in the rotation. I happen to think that's a fine plan with young pitchers, but the problem is that the Twins had already done that with Santana for several years by the time I began complaining about their usage of him. Santana was a reliever in both 2000 and 2001, his age-21 and age-22 seasons, and the Twins once again kept him the bullpen for long stretches in both 2002 and 2003. I'd probably have to ask Earl himself, but I don't think his plan about gradually working pitchers into starting roles was supposed to last for four years. Plus, when the Twins did give Santana an opportunity to start during that time, he clearly showed he was capable, going 18-6 with a 2.97 ERA in 31 starts in 2002 and 2003. In fact, those numbers as a starter look an awful lot like what he did this season (20-6 with a 2.61 ERA). In Weaver's very first year as manager, 1968, a 25-year-old Dave McNally went 22-10 with a 1.95 ERA in 35 starts for Weaver's Orioles. McNally had been a starting pitcher since his age-20 season. In Weaver's second year as Baltimore's manager, he had a 23-year-old Jim Palmer in the rotation and Palmer went 16-4 with a 2.34 ERA in 23 starts. During Palmer's entire 19-year career, he was used primarily as a reliever in just one season, his rookie year, when he was 19. In 1976, Dennis Martinez was called up to Weaver's team and, for the better part of his first two seasons in the majors, at ages 21 and 22, Weaver used him out of the bullpen (he appeared in 46 games, making 15 starts). In Martinez's third year, however, he became as a full-time starter, going 16-11 with a 3.52 ERA in 38 starts, at the age of 23. A couple years later, Weaver got his hands on a 22-year-old Scott McGregor, used him mostly as a reliever for parts of two seasons, and then stuck him into the rotation full-time. As a 24-year-old in 1978, his second full season, McGregor went 15-13 with a 3.32 ERA in 32 starts. The point being that my issue was never with gradually working Santana into the rotation, my issue was with the fact that it took them five years and until he was 25 years old to actually give him a full-time spot there, when it was clear that he was ready to start and capable of being a very good starter. By the way, if you haven't read Weaver's book, Weaver on Strategy, you're missing out on an outstanding, timeless classic. Enjoy the great baseball this weekend and I'll see you Monday. 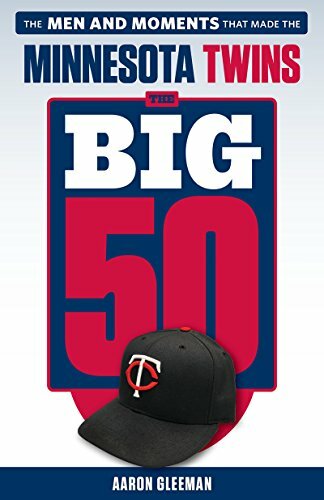 UPDATE: I just heard the Twins are giving out Joe Mauer bobbleheads on Saturday, so I'd like to offer up a free plug/mention/link on this blog and my everlasting gratitude to anyone who would be willing to get one and send it to me (free of charge, of course). Let me know. The bad news is that the Twins dropped both games of yesterday's doubleheader to the Yankees and fell into a tie for homefield advantage in the first round with the Angels, who are suddenly in sole possession of first place in the AL West. What that means is that the Twins probably need to win at least two of their remaining four games, or risk going up against New York in the opening round. The good news is that, as I discussed in some depth last week, I'm not so sure the Twins wouldn't be better off playing New York in the first round anyway, as opposed to facing Boston. Although Minnesota lost both games, yesterday's twin-bill further convinced me that the Yankees are the more beatable team. I'd still much rather take my chances against whoever comes out of the AL West, of course, but that's not an option. While they are no doubt a very good team, perhaps even the best team in the league, the Yankees don't scare me like they have in the past. They are flawed and they are vulnerable, and unlike last year, I think the Twins can actually beat them. While the Twins will go with Johan Santana (who looked very good yesterday) and Brad Radke two games apiece in the first round, I'm not even sure who the Yankees will call on to start in the ALDS at this point. Yesterday's starters, Mike Mussina and Jon Lieber, both looked very hittable, giving up a total of 17 hits and seven runs in 11.2 innings. Meanwhile, Orlando Hernandez, who is 8-1 with a 2.87 ERA in 14 starts, had his most recent start pushed back because of some shoulder problems, and Kevin Brown lasted just two-thirds of an inning in his return from the DL. The guy I thought would be one of the best pitchers in the AL this year, Javier Vazquez, is 14-10 with a 4.89 ERA, and has gone 4-5 with a bloated 7.06 ERA since the All-Star break. Of course, while the Yankees have won behind some very good pitching in past years, what has made them scary has usually been their offense. Despite scoring the second-most runs in baseball, this version of the Yankees' hitting attack doesn't strike the same sort of fear in me that past lineups have. It's obviously still a dangerous group, with Gary Sheffield, Alex Rodriguez, Jorge Posada, Derek Jeter and Hideki Matsui all among the best offensive players at their position, but their lineup also includes a lot of Bernie Williams (.258/.356/.424), John Olerud (.257/.354/.365), Kenny Lofton (.273/.344/.398), Ruben Sierra (.250/.300/.467) and Miguel Cairo (.291/.346/.419), not to mention a punchless Jason Giambi (.213/.348/.391). Guys like Williams and Cairo have been relatively productive, but it's no longer even close to true that the Yankees' lineup doesn't have spots in it where the opposing pitcher can relax. I guess what I'm saying is that New York's offense is still plenty scary, but it's not "let's try to hold 'em to single digits today" scary. That, combined with the questions about the starting pitching, gives me a surprising amount of confidence that the Twins can beat the Yankees. Not that they will, just that they can. When a team wants to give a pitcher a rest, like the Twins did with Santana yesterday, why do they limit his innings pitched, rather than his pitches thrown? I've never understood this. In other words, why commit to letting a pitcher throw just five innings, when five innings could mean 50 pitches or it could mean 120 pitches? Why not just limit the pitch count to 75? My guess is that the answer to that question has everything to do with needing to pitch five innings to qualify for a win, which makes what happened yesterday pretty tough to take. Santana exited the first game of the doubleheader after five innings and 71 pitches (making my confusing question pointless), and in a position to get his 21st win of the season. Sadly, the Twins' bullpen couldn't get the job done, as J.C. Romero and Juan Rincon combined to blow the 3-1 lead for Santana. If, for some idiotic reason, Santana doesn't end up winning the AL Cy Young award, you can point to the bottom of the seventh inning of Game 1 yesterday as the reason. Down 3-1 with Santana out of the game, the Yankees scored four runs to take a 5-3 lead, sticking Santana with a no-decision and causing me to say something along the lines of "#%$&*!" as Derek Jeter's chopper bounced off the glove of Rincon. Santana finishes the year at 20-6 with a league-leading 2.61 ERA in 228 innings. He struck out an AL-best 265 batters, walked only 54, and allowed opponents to hit just .192 against him. It is, without question, one of the best seasons by a pitcher in Twins history and the best season by any pitcher in the AL this year, and also perhaps the best season of any AL player, period. I cannot imagine a pitcher performing better or dominating more than Santana did in the second half, and it was an extraordinary experience to watch him every fifth day. On a personal level, it felt pretty good to see him flourish and become a household name around baseball, just a couple years after I made it my life's work to get him into the starting rotation. While I've probably been Santana's biggest supporter and promoter over the past few years, what he did this season exceeded even my wildest expectations. I went from constantly complaining about him being stuck in the bullpen to constantly trying to convince people that he's been the best pitcher in the league. I'd say the "FREE JOHAN SANTANA!" campaign went pretty well. I was playing a $20 Sit & Go tournament Tuesday evening and one of the other nine players was dealt AA as a starting hand five times. I know this because he won a showdown the first time and then proceeded to show the rest of the table what he had each time after that, while everyone made comments along the lines of "again?!" every time. The odds of that happening in one sitting, in a 45-minute span, have got to be astronomical. And as if that weren't enough, he also got KK once (when he showed that, one person commented that they were "disappointed" not to see aces). But here's the good part: I beat him. While my highest pocket pair the entire time was nines, I grinded away at the blinds of other players, let Mr. Aces do all the dirty work knocking everyone else out of the tourney, and then went up against him head-to-head. I really should keep track of this sort of thing (you'd think I would, being a stat-head and all), but I would guess that my winning percentage when I get to head-to-head in a Sit & Go is at least 60%. I think a lot of players at the relatively low levels I play at don't realize how differently you need to play with just two players left, and how that impacts what starting hands you play and how you play them. Out-chipped nearly 5-to-1, I took his blinds a couple times when he failed to call the big blind (a mistake in head-to-head, usually), bluffed the flop with six-high to take down a small pot when he did call the blind, and then doubled up when he went all-in with top pair and I called with two pairs. After that, his entire strategy changed, as he went from the table bully to an unsure player, checking whenever he didn't hit a flop, which allowed me to take down pot after pot, even when I also missed. He made a little comeback when he was down to $500, doubling up twice on me, but I eventually knocked him out with the aforementioned pocket nines that held up against his QJ offsuit. My bankroll has been going through some fairly big fluctuations lately, but after that win I found myself back up to right around my highest point ever, give or take a few bucks. I was thinking that if the Sit & Go tourneys didn't take a 10% entry fee ($1 on a $10 tourney, $2 on a $20 tourney, etc. ), my bankroll would really be looking good, as I'd guess I've played well over 100 of them. 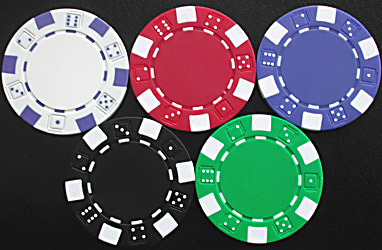 Oh, and as if that weren't enough, I bought my first ever set of poker chips last weekend, getting a nice 500-chip set of "dice" chips that I've been playing with in my dorm room ever since. There's something soothing about the clackity-clack-clack of shuffling chips while you work on your journalism assignments. Now, all I need to do is find a good weekly home game near me, and I can become a full-fledged poker degenerate. This has been a great year to be a Twins fan, with Johan Santana on his way to a Cy Young award, Justin Morneau establishing himself as an offensive force for years to come, and the team heading to the postseason with their third straight American League Central championship. However, along with all the good stuff has come an awful ongoing story for the Twins, with Joe Mauer's knee injury. Mauer initially hurt his knee on a freak play in the second game of his career, which is enough to make you wonder what sort of a karmic gods the Twins angered. Then, after he rehabbed the injury, came back, and looked like a future Hall of Famer, the knee started acting up again and sidelined him for the entire second half. Now what we're left with is nothing but questions. Can Mauer come back and play this year? Can he contribute in the playoffs? If so, will it only be as a designated hitter or bat off the bench? Could he catch occasionally? Will he be totally healthy to start next season? Can he be an everyday catcher? There are other questions, but even thinking about them depresses me. One stupid injury has turned Mauer from the best prospect in baseball and a guy playing far better in his rookie year than even the most optimistic expectations for him suggested, into just another catcher with bad wheels and an iffy future behind the plate. Even if Mauer is able to return fully healthy next year and even if he can catch 100 games in 2005, there's no doubt in my mind that his knee injury this season will take a significant chunk of his future value away at some point or another. Hell, it already has, as Mauer, who hit .308/.369/.570 in the 35 games he was able to play, lost out on his chance to win the AL Rookie of the Year award this season. Joe Mauer did as ordered last week. For the first time in more than two months, he got down in a catcher's squat. "It took a while to get back up," Mauer said with a wry grin. "I hadn't been down there in a while." The event occurred Friday at the Cleveland Clinic, at the request of specialist Dr. John Bergfeld. Bergfeld determined that Mauer's surgically repaired left knee would need more rehabilitation, not additional surgery. And, perhaps equally important, Mauer would not require a position change. The question of whether or not his catching days are numbered has definitely been the elephant in the room whenever Mauer's injury is discussed. Much of the focus over the past couple months has been on simply getting him healthy and back playing, but how healthy and exactly where he'll do his playing is almost as important. As I've said here before, as a catcher he's a potential future Hall of Famer, a once-in-a-generation player, and perennial MVP candidate. As a designated hitter, he's just a good designated hitter, of which there are many around baseball. There is a difference between what actually happens and what a doctor says when his patient is trying to come back from an injury, but it's certainly nice to see "Mauer" and "not require a position change" in the same sentence. Mauer took ground balls at third base Sunday in Cleveland, but just to get him moving around the field. "I was like, 'Oh man, it's going to be in the papers that I'm switching to third base,' " he said. I relayed this quote yesterday to someone who was very skeptical about the third base workout being nothing more than a workout, but I believe it. First of all, if Mauer was actually going to stop catching and move to third base, I seriously doubt the Twins would have him working there a week before the postseason starts, particularly when there's no chance of him playing third base in the postseason. Beyond that, I've heard nothing from anyone involved with the Twins -- from Mauer to Ron Gardenhire, Terry Ryan, the team medical staff, and now Dr. John Bergfeld at the Cleveland Clinic -- that says they expect Mauer to change positions in the near future. Twins manager Ron Gardenhire repeated what he has said throughout the summer: If Mauer can return in time to help as a pinch hitter in the playoffs, fine. But the main priority is for him to be a full-time catcher next season. "I don't want him to come into next year with any doubts in his mind that his knee is going to make it," Gardenhire said. "We will get by this year. I want to make sure he is healthy for next year." It's fairly rare for Gardenhire and I to be in complete agreement, but that's the case here. In fact, I hope Mauer is not ready to play this October. Considering all that Mauer and his knee have been through this year, I don't think there's any need to risk further problems in order for him to get a few pinch-hitting chances in the playoffs. Jason Kubel will fill that role just fine, and I won't constantly be worried about whether or not he's limping on his way to first base. The saddest thing about greatness is when it's gone before anyone even got a chance to witness it. Sports history is filled with future Hall of Famers who never reached anything close to their full potential because of injuries and I'm just hoping that Mauer is not destined to be another name on that depressing list. The goal for him right now should be for us to see him squatting behind the plate when Santana delivers his first pitch on Opening Day 2005. While people weren't dying in my dorm and I wasn't complaining about what color my mom painted my room, there was one bright spot in my weekend. Although, I wouldn't even have noticed it if not for a few loyal e-mailers. One of the few magazines I still subscribe to is Sports Illustrated, which in an era of declining sports media coverage -- in quality, not quantity -- remains above and beyond the rest of the pack. This week's edition is the 50th Anniversary Issue (pictured below), which is apparently a pretty big deal. As I usually do with Sports Illustrated, I leafed through it, reading a few of the articles and pieces that caught my eye, and then planned to take it back to the dorm with me for a more thorough inspection. Check out the new SI, you're mentioned in it. I tend to get a few e-mails like this every week and most of them, sadly, turn out to be a little overblown. For instance, someone might say something like, "Peter Gammons mentions you in his new ESPN.com column." So I'll get all excited, head over to ESPN.com, and find that Gammons' new column, while making mention of the equation behind Gross Production Average, makes absolutely zero mention of Yours Truly (and rightfully so). Plus, keep in mind that the 50th Anniversary Issue is at least twice as long as Sports Illustrated normally is, so even if I was amazingly mentioned for real this time, this e-mailer didn't give me any clues about where exactly to look. 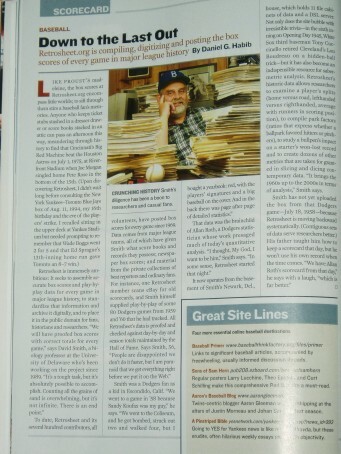 Did you realize aarongleeman.com was mentioned in the current issue of SI? It was in the 9/27/04, 50th Anniversary Issue, in the "baseball" section of their expanded "Scorecard" section. There's an article on Retrosheet, then a box with four links, including your site. As you can sort of see in that picture above, the main article is a feature on David Smith, the man behind Retrosheet.org, which is one of the best websites in the world, baseball or otherwise. I had the pleasure of meeting David at the SABR Convention in Cincinnati this summer, and I also sat in on his presentation on scoring patterns in games, which was one of the best at the convention. Down at the bottom right-hand corner of the page, after you're done reading the excellent article on Smith by Sports Illustrated's Daniel Habib, you come across a little box of text entitled, "Great Site Lines: Four more essential online baseball destinations." This very site, the one you're staring at right now while you wolf down your morning coffee or your lunch-hour sandwich, is mentioned, along with Baseball Primer/Think Factory, the Sons of Sam Horn message board, and Steven Goldman's Pinstriped Bible. For those of you who can't quite see what it says in that horrible picture I took of the page, the entry for AaronGleeman.com reads: "Twins-centric blogger Aaron Gleeman was worshipping at the altars of Justin Morneau and Johan Santana last season." In the 25 months or so that I've been writing this blog and the seven months I've been writing at The Hardball Times, I've been very fortunate to get mentioned/praised/mocked at a number of really great websites and in a number of really cool publications. Certainly Sports Illustrated ranks up at the top of that list and seeing my name in there was really quite a thrill, so I'd like to thank whoever was responsible for including this blog in their "Great Site Lines" listing. I'm pretty sure there's going to be another interesting mention of this blog somewhere later this week, although I'm not sure if I'm supposed to talk about it yet or not, so I'll shut up for now. I'll keep you all posted, of course, even if you're not even interested. It's funny how this sort of stuff seems to come in streaks. As I told someone yesterday, this week has turned into my "media blitz" without me even knowing it. I went home for the weekend for some family-related stuff (more on that in a moment) and returned to campus early Sunday evening. As I was being dropped off, I saw police cars and TV news trucks all over the front of my building. While I made my way into the building, I ran into a press conference that was being held near the front entrance, with a police official answering questions from all sorts of local media. It was pretty weird, so I asked the first person I saw, a guy picking up and paying for the pizza delivery he had ordered to the dorm, what exactly was going on. "Some chick died," he said. Turns out, he wasn't quite the accurate source of information you might expect from a young man who ordered three Papa John's pizzas on a Sunday evening. MINNEAPOLIS - A 19-year-old man was found dead Sunday in a University of Minnesota residence hall, police and university officials said. Police were sent to Riverbend Commons dormitory on the East Bank of the Minneapolis campus around 11:30 a.m. after a resident discovered her guest was unresponsive and called 911, said Greg Hestness, the university's police chief. Attempts to revive him were unsuccessful, said Hestness, who is also the university's assistant vice president for public safety. The cause of death wasn't immediately determined and autopsy results were pending. Investigators were constructing a timeline of events, including when the man arrived at the dormitory, and obtained a warrant to search the room, Hestness said. "There were no obvious signs of foul play, however an unexpected death of a young person is going to be treated as a suspicious death," Hestness said. You know those people who are so totally obsessed with their pets that their whole life revolves around them? I am apparently one of those people, which is why I was away from the dorm this weekend. 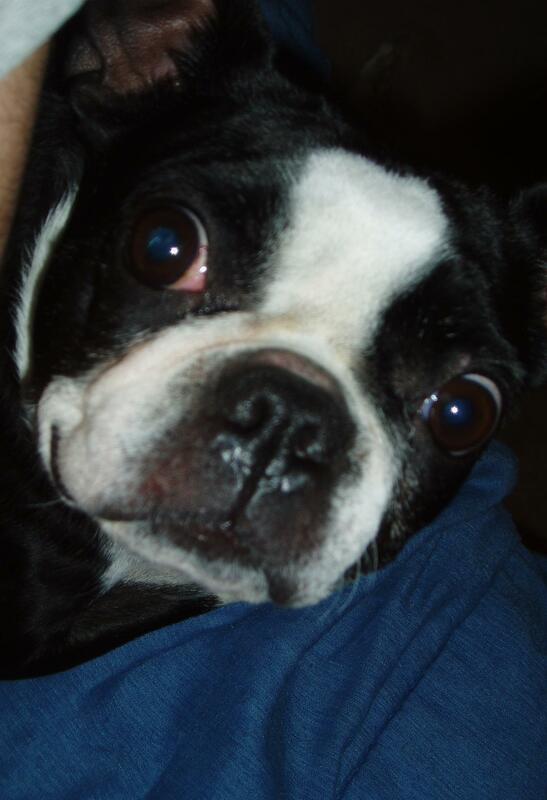 My dog, who I've talked about and pictured here many times, is completely insane. She's incredibly cute and very nice 99% of the time, but also totally crazy, particularly when she's around anyone other than myself or my mom. Last week, my mom hired some painters to redo the inside of our house, and because she (or we) didn't want to make the dog stay in a kennel at the vet all week (there was no way she'd behave with two painters and a bunch of paint in the house), we decided that I'd come home midweek, so I could babysit the dog while the painting was going on (they started on Monday, so she had already been kenneled for a couple days). So I got home on Wednesday, walked in the door, and saw that the entire house was different. Some walls were Carolina baby blue, some walls were dark red, some walls were beige, some walls were green. Tipsy from the colors, I made my way up to my room, a very small, very boring area of the house that previously had white walls and just two things hanging from them -- a Boston Terrier calendar and a picture of my cousin and I. MOM: What color should I have them paint your room? AARON: What's wrong with the color it is already? AARON: I like a room with white walls and I don't really care about the color of a room. MOM: I'm not leaving it white. AARON: Well then what did you ask me my opinion for? MOM: Because I thought you'd tell me a color you wanted. AARON: I did ... white. It's my room, isn't it? At that point, my mom muttered something under her breath and walked away. And then I didn't hear anything on the subject for a few weeks, before coming home to find my room was a sea of navy blue. My mom, always incredibly observant, apparently noticed me violently shaking my head and biting a hole through my lower lip, so she asked, "You don't like it, do you?" "I told you I wasn't going to paint it white," she responded. As my head continued to shake, I said, "So you decided since it wasn't going to be white, you'd skip about 50 colors and go directly to the darkest blue?" "I thought it was the Twins' colors," she sheepishly offered. Now, in the grand scheme of things, the color of my room makes little difference to me. I'm only there for about three months a year, plus the odd weekends when I come home to give far too much attention to my dog. And at some point in the relatively near future, I hope to move out completely. With that said, there's something about the whole process that rubbed me the wrong way. My mom asking for my opinion on the color of my room was like when NFL teams have to interview minority coaching candidates. She had no intention of listening to me and getting the room painted a color I liked, she just wanted to avoid the $200,000 fine from Paul Tagliabue. More than anything, what upsets me about the room is the fact that my mom and I are so completely different when it comes to stuff like this. If I had a kid and he had his own tiny room in the middle of a relatively large home, I'd ask him what color he wanted it, and if he said "white," I'd paint the damn room white. It's not as if I asked for it to be painted in human blood or something, I just like white walls. Beyond that, the entire paint job is something I would never do. We've been in this house for only 3-4 years, and when we bought it I don't remember anyone saying, "Wow, these walls are going to need painting in a few years." In other words, the paint that came with the house when we bought it was just fine. I'm not saying the painters did a bad job, because I think the actual paint looks just fine, but the house of a single mom and her college-aged son in Minnesota just doesn't need to look like a crayon box exploded. We're boring Minnesotans who are in no danger of being featured in Good Housekeeping. The white walls were just lovely. Oh, and I didn't even mention the fact that my mom also had the kitchen floor completely re-done too. I suppose I may just be too frugal to understand any of this, so the idea of someone spending what is almost certainly a ton of money (I didn't ask for specifics, because I figured I might pass out) on the painting and re-flooring of a perfectly fine house is not even something I would ever think of doing. Of course, maybe I'm just a little worried, because my current plan is to stay in college for as long as humanly possible, and it appears as though my mom has just blown a year or so of tuition to make my room a color I hate. The Indians did a very nice thing yesterday afternoon, sending Omar Vizquel out to begin the top of the ninth inning and then replacing him at shortstop with Jhonny Peralta before a pitch had been thrown. Vizquel, who may have been playing his final home game with the Indians, got a standing ovation as he left the field and then, after he got into the dugout, was called back out for a curtain call. As Vizquel was tipping his cap to the crowd in Cleveland, I began to wonder whether or not he would be someone the Twins would go after this offseason. The Twins have a $5-million option on Cristian Guzman for next year and I see no real defensible way to pay him that much, particularly on a team where that would consume nearly 10% of the entire payroll. Which is why Vizquel is intriguing. If the Twins could sign him to a one-year deal worth around a million bucks, they could let Guzman go and save a ton of money. Plus, it would allow them to take their sweet time with Jason Bartlett, perhaps even giving him another season at Triple-A to refine his skills. Vizquel has been a significantly better offensive player than Guzman this year, almost solely because he is able to get on base and avoid outs about 13% more often, which is huge when talking about guys who aren't providing any power. Defensive stats are very iffy, particularly when dealing with the "regular" numbers that are readily available, but Vizquel also leads Guzman in Zone Rating (my regular defensive stat of choice), .844 to .821. If Vizquel can stay healthy in 2005 (which is far from a given, obviously) and provide even 80% of the production he has given the Indians this season, he'd be almost exactly as good as Guzman, and for about 20% of the cost. It was great to see Carlos Silva turn in yet another solid second-half start yesterday, holding the Indians to one run in seven innings of work, on the way to his 14th victory of the season. Silva is almost assuredly the Twins' #3 starter for the postseason, which means he'll make one start in the opening round, against either New York or Boston. I still wouldn't bet on the Twins with Silva on the mound, but he's certainly done his part to earn a postseason start. We all know how unbelievable Johan Santana has been since the All-Star break, going 13-0 with a 1.18 ERA in 14 starts, including 5-0 with a 0.26 ERA (yes, 0.26) in September. Along with that, Brad Radke and Silva have both pitched extremely well, combining to go 12-4 with a 3.59 ERA in 175.2 innings. Together, Minnesota's three starters for the first round of the postseason have gone 25-4 with a 2.72 ERA in 42 second-half starts. If that doesn't give you confidence heading into October, I'm not sure what will. By the way, remember that Eric Milton-for-Silva (and Nick Punto) trade that I kept saying was a great one for the Twins? Well, Silva has thrown 197 innings with a 4.16 ERA and Milton has thrown 188 innings with a 4.69 ERA. Oh, and Silva has cost the Twins about $9 million less, and unlike Milton, he's not a free agent this offseason. Curt Schilling picked up his 21st win of the season yesterday, as the Red Sox knocked the Yankees around. However, with Santana picking up his 20th win of the season over the weekend, I'm a little less worried about Schilling stealing Santana's Cy Young award than I was this time last week. If Schilling picks up his 22nd win of the season in his final start and Santana gets a no-decision or a loss (yes, a loss is possible) in his final start, would Schilling's 22-to-20 edge in wins be enough to sway misguided voters? Who knows, but I certainly think Santana's chances of winning got a huge boost once he got that magical 20th win.